Opening hours: Dutch banks and post offices usually open Mon-Fri 9am-4pm, with a few big city banks open until 9pm on Thursdays and Saturday morning. Shops open Mon 11am-6pm, Tue-Thu 9:30am-6pm, Fri 9:30am-9pm and Sat 9:30am-5pm. Every first Sunday of the month, shops in the city centre open 12pm-5pm. Museums and galleries usually open Tue-Sat 10am-5pm and Sun 1pm-5pm. The city buzzes with culture, artistic and entertaining events, design initiatives as well as a bustling business centre. However, those wanting to chill out will also find it a green and environmentally-friendly city criss-crossed with wide bicycle lanes and dotted with parks. The pedestrian heart of town is a shopper’s paradise with little speciality boutiques and all the top brand names. Visitors will never go hungry or thirsty in Eindhoven, as each step you take reveals a new pub, café or restaurant offering traditional, international and exotic cuisine. Lovers of modern architecture will not want to miss this unique, futuristic sight. 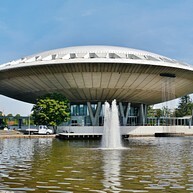 The Evoluon used to be a science museum but is today a conference centre and one of the city's most recognizable landmarks. 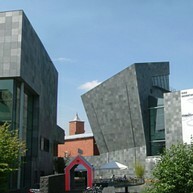 The Van Abbemuseum houses one of the top ten modern and contemporary art collections in the world. The impressive collection includes works of Picasso, Chagall, Kandinsky, Mondriaan and many other great masters of the craft. 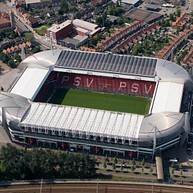 The Philips Stadium is the third largest in Holland, home to PSV Eindhoven, one of the country's most successful teams. If you are lucky, there might be a game while you are in town. Regardless, you can always take a guided tour of the grounds. Find enlightenment and experience the atmosphere of the 19th century on a tour of the first and oldest Philips’ factory building. See how carbon filament light bulbs were made here in 1891, the driving force behind the development of the city. At this historical open-air museum you can experience what life was like through the ages, from the Iron Age to the Middle Ages by baking bread, forging iron and minting coins. It is located in Genneper Parken, south of the city. In 1928, Hub and Wim van Doorne opened the Van Doorne’s Trailer Factory (DAF), an interactive museum where visitors are transported back in time to the 1930s. The whole space showcases classical cars and trucks among old storefronts and an impressive replica town setting. 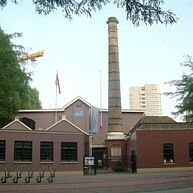 The Frits Philips House of Music is the city's premier concert venue, hosting performances ranging from classical to pop, with both local and international performers. Be sure to check out what is on while you are town. The impressive swimming centre at De Tongelreep is a great place to spend a day for the whole family. There are classes for toddlers and the elderly, as well as snorkeling lessons, water polo, and many other activities. Falconcrest Roofvogel Park is a fascinating wildlife park that showcases a large array of birds of prey, the star of course being the majestic falcon. Young ones always enjoy their visit to this educational centre. The IJssportcentrum (Ice Sports Centre) in Eindhoven offers a huge array of activities for people of all ages and skill levels, from ice hockey and curling to skating lessons for beginners and spectator sports. 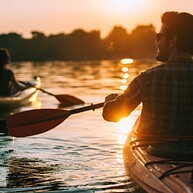 Just south of EIndhoven lies the municipality of Valkenswaard, a beautiful area surrounded by nature and popular for its outdoor activities, which include kayaking, hiking, and if you're feeling adventurous, motorcross. For many, golf is a party of the vacation, and sometimes it can be hard to combine with the rest of the family. De Tongelreep invites you to a fun and challenging 9 hole course. Pass by the Paviljoen Genneper Parken for a round of mini golf, or as they call it, midgetgolf. The course has 20 holes and is a fun activity for the whole family. 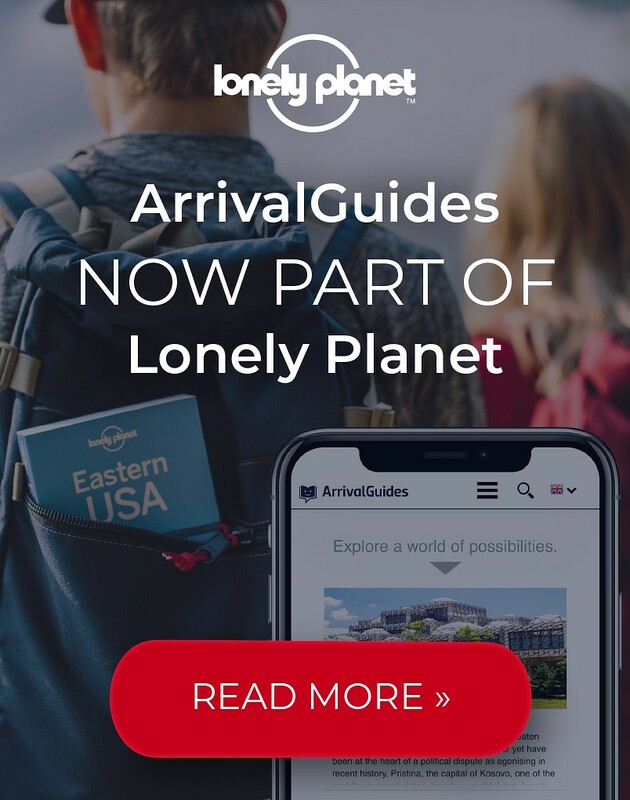 Go for a cool walk in the Stadswandelpark, here you need to use your smartphone or tablet to be able to see all the astronauts, rockets, moon landers and planets. Download the app 'Ruimtewandelen in het park'. In De Genneper Hoeve you will find a wonderful little organic farm with cows, chickens and pigs. 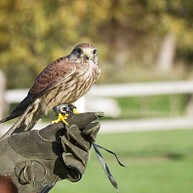 Get an insight of how the animals are taken care of and how they are bred.